Improving newborn hearing screening: Are automated auditory brainstem response ear inserts an effective option? Good ear & hearing care habits: Proper care of the ears is a simple matter of inculcating the right habits in this regard. It is also essential for ensuring healthy ears and good hearing for a lifetime. You are their first teacher: A mother is the most important person in a child's life. This importance is increased manifold when the child has Hearing Impairment. The article outlines the important role played by the mother in ensuring proper language development of her child. Hearing loss in the elderly: Advancing age brings many related problems, such as reduction in vision (requiring correction with glasses) and also hearing loss. Sometimes hearing problems can make someone feel embarrassed, upset, and lonely. If someone has trouble hearing, there is help. Frequently asked questions: You may have many questions relating to hearing loss, ear problems, their prevention, diagnosis and treatment. Some of the most frequently asked questions are listed herein with their answers. 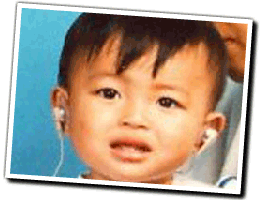 State of Hearing and Ear Care in the South East Asia Region. It can be downloaded from However, to avoid mis-interpretation due to a typing error, please look at the correction in the Word document: "ERRATUM"
Situation Review and Update on Deafness, Hearing Loss and Intervention Programmes. Proposed Plans of Action for Prevention and Alleviation of Hearing Impairment in Countries of the South-East Asia.